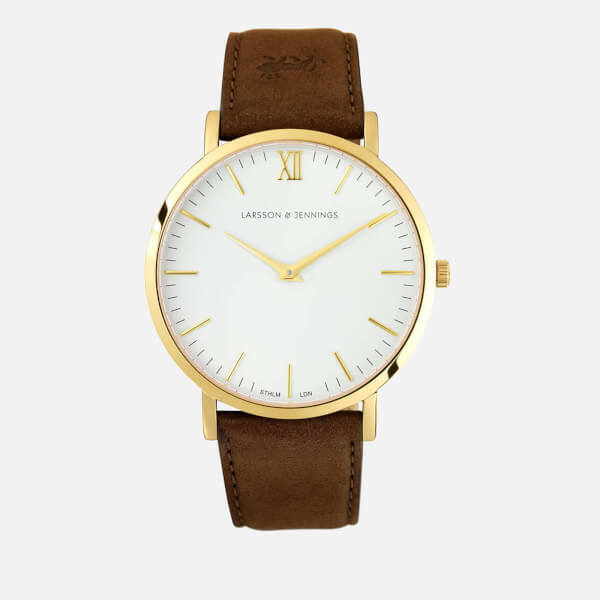 Leather ‘Lugano’ watch from Swiss Made watch brand, Larsson & Jennings. Celebrating classic British dress watch aesthetic, the timepiece boasts a dedication to minimal design. 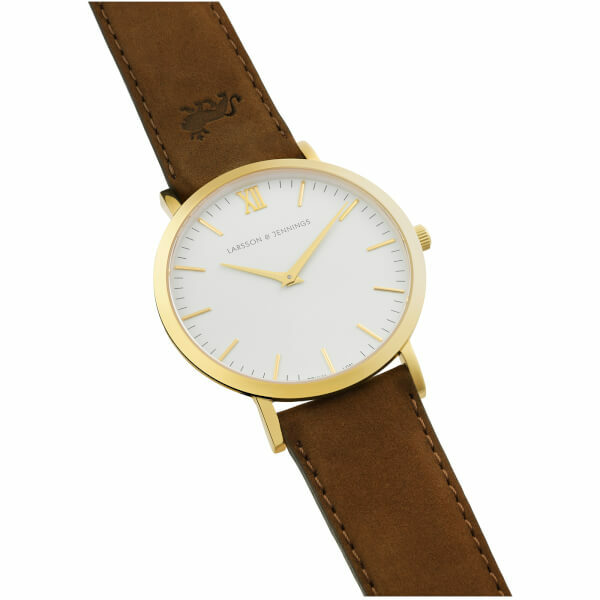 Crafted from premium, 18 karat gold plated stainless steel with a polished finish, the watch comprises a 40mm case, simple white dial and subtle branding. 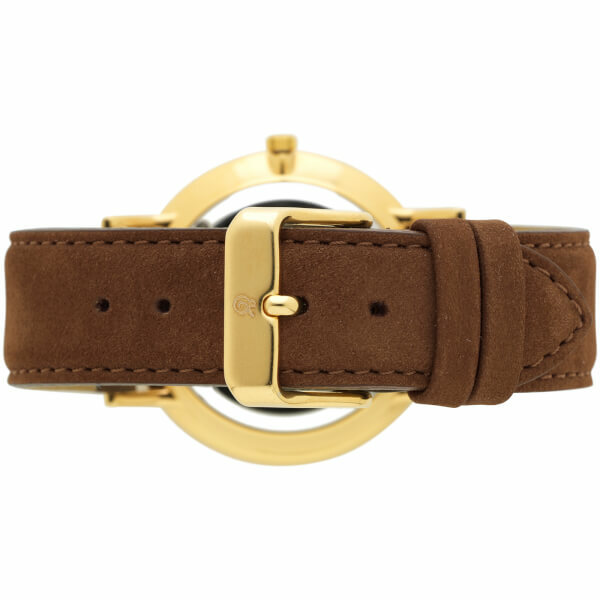 The timepiece arrives on a hand-stitched, Italian leather strap, which boasts a large strap size. 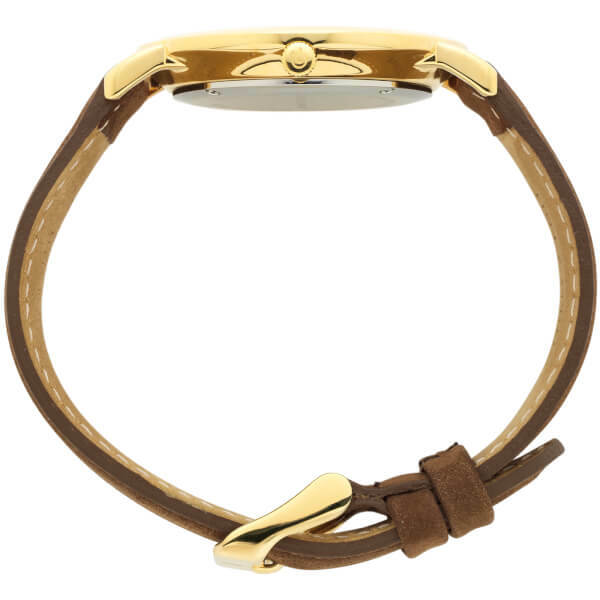 This sits comfortably on the contours of the wrist and is secured with a traditional buckle fastening. The sophisticated watch functions on a quartz movement and is Swiss Made, a sign of high quality and increased accuracy. Complete with Sapphire crystal glass, a popular choice for high quality, Swiss made watches, the dial is extremely scratch resistant. Case: 18 Karat Gold Plated Stainless Steel. Strap: Italian Calfskin Leather. Glass: Sapphire Crystal. Case Diameter: 40mm. Height: 7mm. Strap Width: 3.2mm. Case: Gold Plate Stainless Steel. Strap: Italian Calfskin Leather. Glass: Sapphire Crystal.